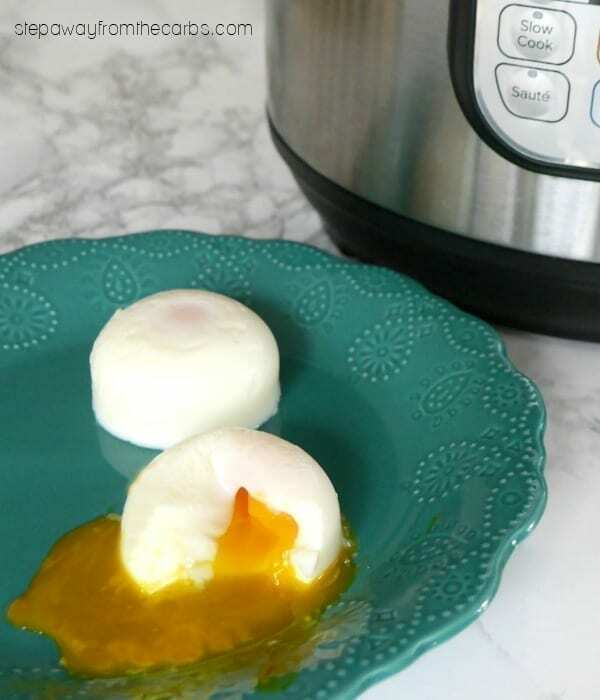 Did you know that Instant Pot Poached Eggs was a thing? Well, it is! 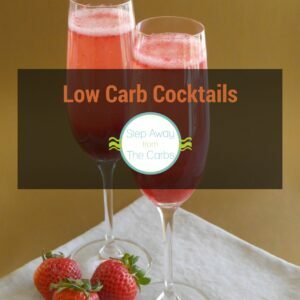 Perfect for a low carb breakfast, lunch, or even a salad! 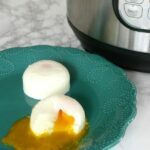 So a while ago I showed you how easy it is to make Hard Boiled Eggs in the Instant Pot. 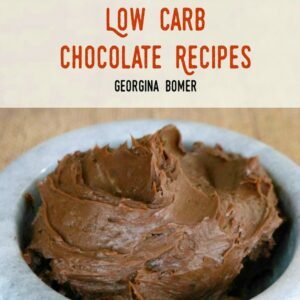 But now I’m back – with how to poach them! I have to say, poached eggs are my favorite way to cook eggs, and yet I hardly ever cook them for myself. I’ve had microwave egg poachers and poach pods – but somehow I always think the eggs will explode and/or won’t be cooked evenly. 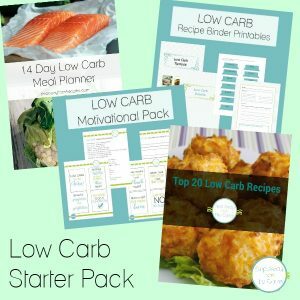 However, when I saw an Instant Pot tutorial from Cooking with Curls – I just had to try it out. And now, I want to share it with you! First of all I rushed straight out and bought an egg bites mold. Well, I headed straight to Amazon, anyway. This one from Popfex is available in four different colors: green, blue, orange, and purple. Crack as many eggs as you like into the mold, and carefully place it onto the trivet. You don’t have to prick the eggs. Seal the lid, and set the Instant Pot to Steam. How long you then cook it for depends on how you like your poached eggs – and of course the exact size of your eggs! I found that five minutes was around perfect – but I would highly recommend having a practice run before you need them for something important. It’s no hardship to eat poached eggs, after all! After the cooking time is up, carefully release the pressure. 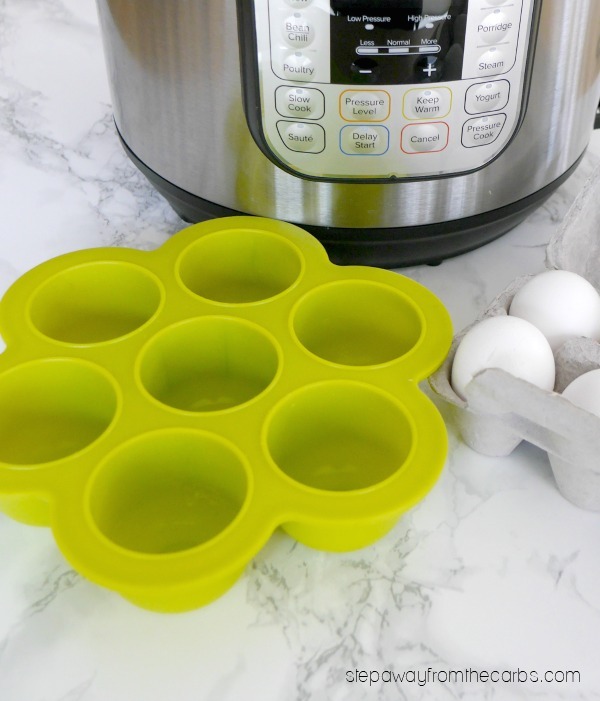 Remove the mold using the trivet handles, and use a spoon around the edges of each cup to gently separate the egg from the mold. Oh – if the eggs are underdone, you can simply replace them, seal the lid, and set the IP to steam for another minute. Easy! Add the water to the Instant Pot and add a trivet. 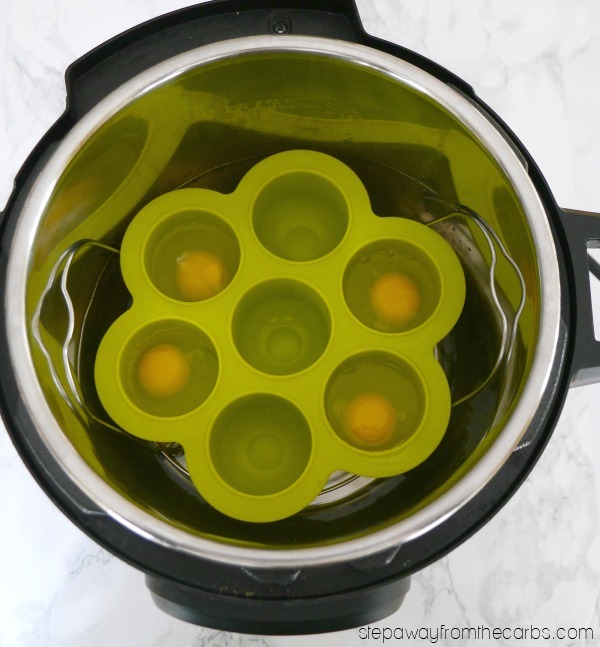 Spray a silicone egg bite mold with non-stick spray, and crack each egg into a cavity. *How long you then cook it for depends on how you like your poached eggs and the size that you are using. I found that five minutes was around perfect - but I would highly recommend having a practice run to find out your preferences.